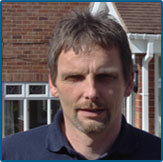 My name is Mark Aldridge, I am a fully trained ICL certified Locksmith and uPVC service, repair specialist and Yale Approved Doormaster Expert. I have run my own mobile locksmith business for the past 10 years, working locally for private households, doctors and dentist surgeries, local authorities, police, estate agents and letting agents, and other local businesses . Before this I learned my trade working for a larger family run business. Also I am a time served City and Guilds qualified carpenter. I am a member of ICL (The Institute of Certified Locksmith’s) and DAWTA (Door and Window Technicians Association). I am CSCS (Construction skills certification scheme) registered in both locksmithing and carpentry. I am a member of Kenilworth Chamber of Trade. I take pride in my work and this shows with the amount of repeat business and recommendations to friends and family I receive from my customers. When you telephone you will talk directly to me. I pride myself in being extremely competitive and with the correct information I am able to give quotations over the telephone. As I am based at home my overheads are low so I am able to match like for like quotations and I can beat franchise companies prices. As my work is usually received on a day to day basis I am able to offer good response times to call outs. I never double book work and I will always make every effort to arrive at the time agreed.